meets on the 3rd Tuesday of the month, except for November & December which are combined into one meeting held the 1st Tuesday in December at the Evans Community Center, Cottonwood Room, 1100 37th St., Evans, CO.
Social time begins at 6:30 P.M and the meeting begins at 7 P.M. Welcome and Thanks for Visiting Us! and to encourage a high standard of excellence in quilting and quilt arts. 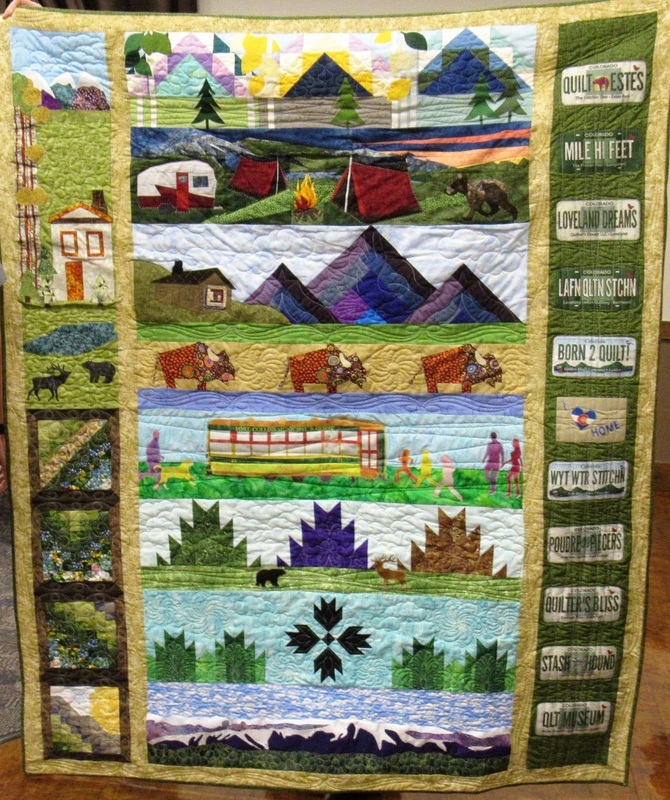 Dues for Pieceable Friends Quilt Guild are $30 per year payable in January. Dues are prorated at $15.00 for members joining after September 1st. Our Non-Member Fee is $5.00 per meeting (unless it is a special program). Special Non-Member fees will be posted in the Program Description area. Our Programs & Workshop page is available for viewing to non-members. Take a minute and check out what we have coming up. Hope to see you Soon!